On 14 September 2017, in Osijek, the Faculty of Agriculture in Osijek hosted the opening conference of the project Implementation of cross-border joint actions toward environment protection in agriculture (IMPACT ENVI). 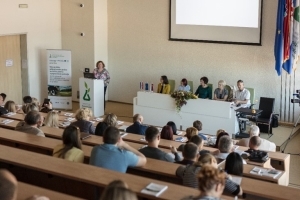 All partners attended the conference: Faculty of Agriculture, Osijek; Educons University of Sremska Kamenica; Institute of Field and Vegetable Crops, Novi Sad; and Crafts – Industrial School, Županja. 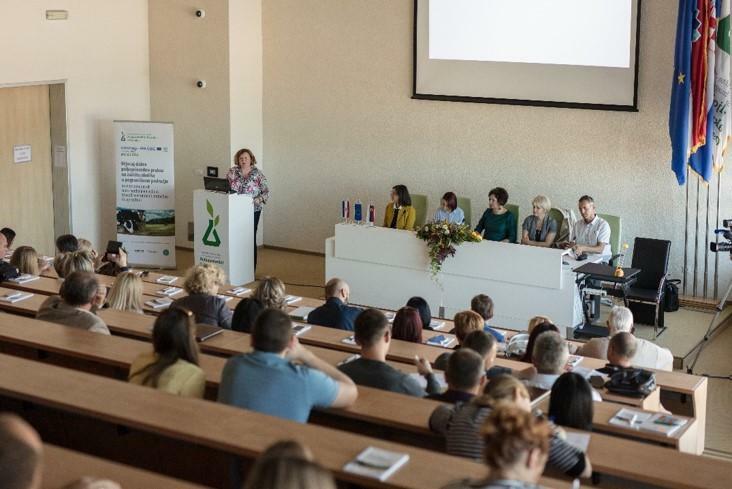 The conference was attended by 100 people; including the representatives of the city of Osijek, agricultural producers, of small and medium entrepreneurs, professors of educational and research institutions, students and media representatives. The participants were informed about the project, project activities, results and objectives to be achieved. The main objective of the IMPACT-ENVI project is to prevent environmental pollution caused by agricultural influence in the project area in order to provide long-term prevention and improvement of environmental protection and better management of existing risks related to agricultural impact on environment. The project aims to raise awareness of the importance of good agricultural practice adaptation in order to prevent environmental pollution caused by agriculture, so that long-term prevention and environmental protection improvement are ensured, as well as better management of existing risks. The Programme area is a high-risk area when it comes to natural disasters, whose prevention presents a common challenge for Serbia and Croatia. Research and analysis of the current state of pollution of agricultural soil and waterways will enable the development of common system for monitoring ecological and chemical status of water and soil in the Programme area, common monitoring system in livestock production and vegetables and field crop production. Throughout the project, a monitoring system will be established for invasive species, diseases and pests, as well as a joint management plan for sustainable management of agricultural production (livestock, crop production, vegetable growing). The project will provide platform for ensuring long-term environmental pollution prevention caused by agricultural activity by implementation of good agricultural practice in the project area.